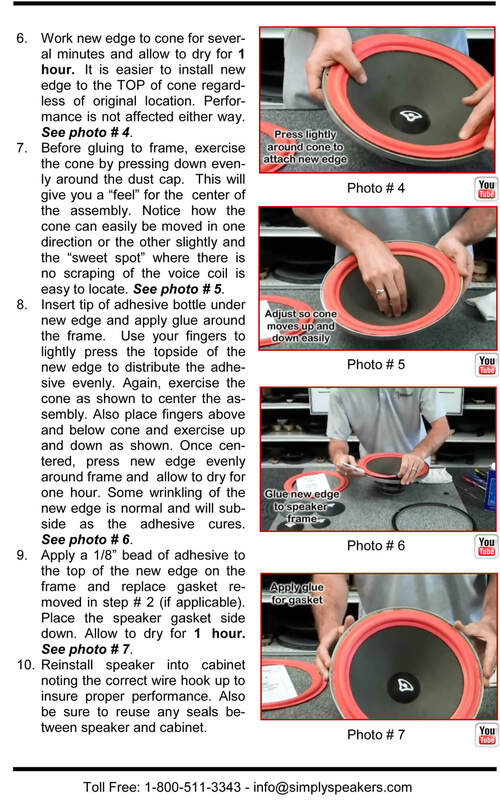 This was exactly what I was looking for and the directions and materials were perfect. Thanks...the speakers sound awesome! This is a great product!! Saved me a lot of money!! Hardest part of install is removing all the old glue. After that, it is very easy and they sound great!!! 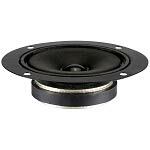 I was looking for a replacement speaker for my Fisher 15" woofer. 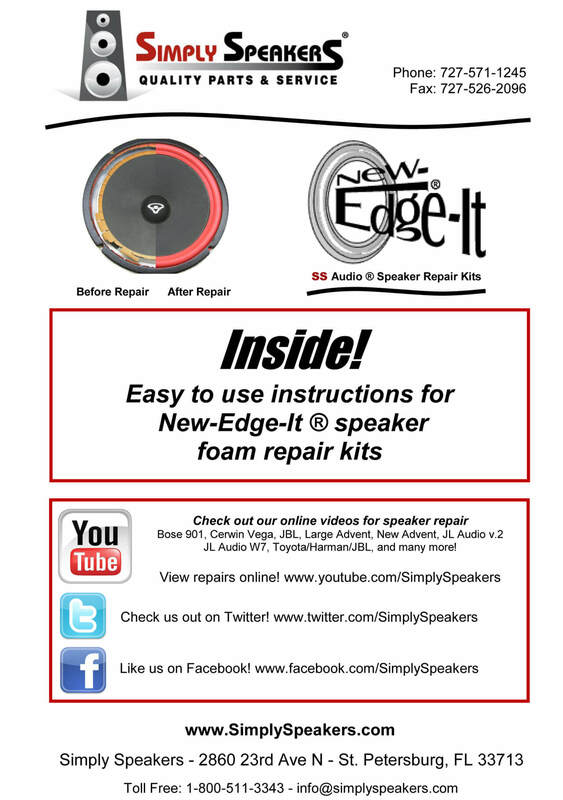 The foam disintegrated when I touched it and I thought I would have to replace the speaker. I bought the Fishers in 1981. 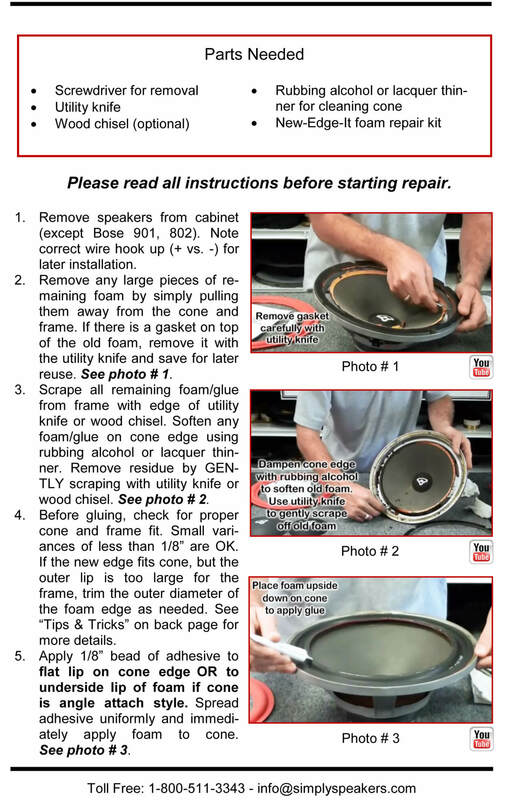 I found Simply Speakers and the 15" Foam Speaker Repair Kit FSK-15F.I was shocked they were located in Pinellas Park, just down the road from my winter home in Florida. Can't wait for the next trip to Florida - forget Disney World, I'm going to Simply Speakers. Oh Yeah! The service was groovy! Bought these because they had both fallen apart on my old speakers. Was tricky at first due to some vagueness in the directions, but logic won out and I was able to successfully replace both foam pieces. Had enough glue plus some more to spare. Speakers are back to normal and have worked fine for the last two months of heavy use. 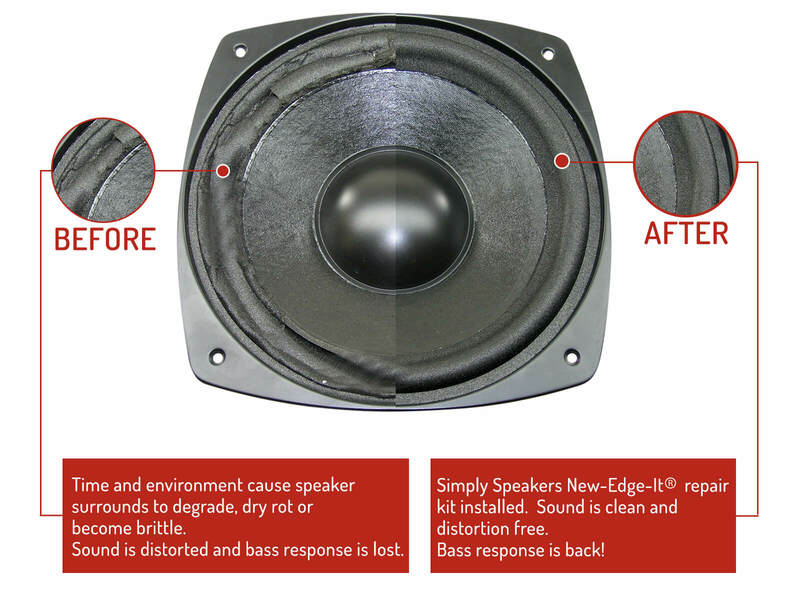 The original edges of my Fisher speakers started to crumble to the touch.When I found these kits I had not done anything like this with speakers but decided to give it a try, the cost sure beat buying new speakers. Got the kit within a week and made the repairs within a few hours. Taking the old foam off was the hard part. The new edges were put on in about 30 minutes each. You do have to keep pressing the glued sections together until the glue holds which is not that long. Speakers sound great. The kit arrived fast and shipping was free! 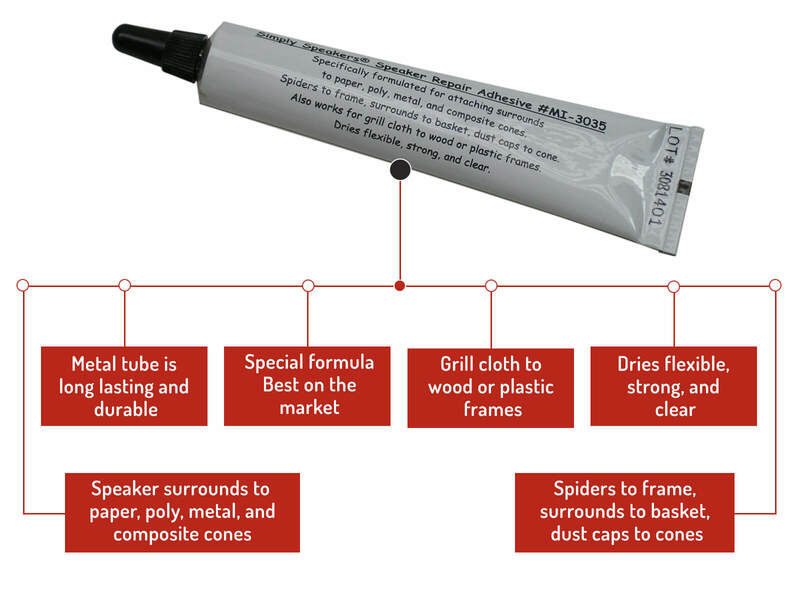 The glue is great stuff - I used the extra to tack down some fabric on some grills that I just couldn't get to stay down any other way. I found the surrounds to be just a little large for the 15" frame on the XP-9c's I was repairing, but I just made a radial cut in the foam and butted the pieces together - worked great. 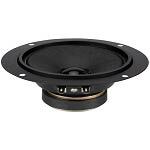 Great product saved my old speakers they sound as new easy to install good instructions very happy. To be honest I had never repaired a pair of subs before and these were 15's! The kits were right on the money and worth the effort. The speakers have been repaired for several weeks and sound fantastic! 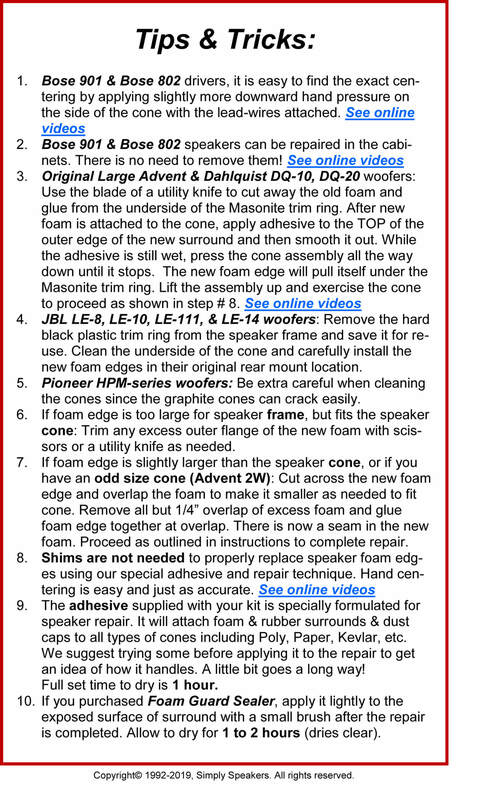 I thought refoaming 15" woofers would be a challenge. Nope! Fit perfectly and the instructions are very well written! Q: Does the kit come with adhesive, or do purchase that separately ? 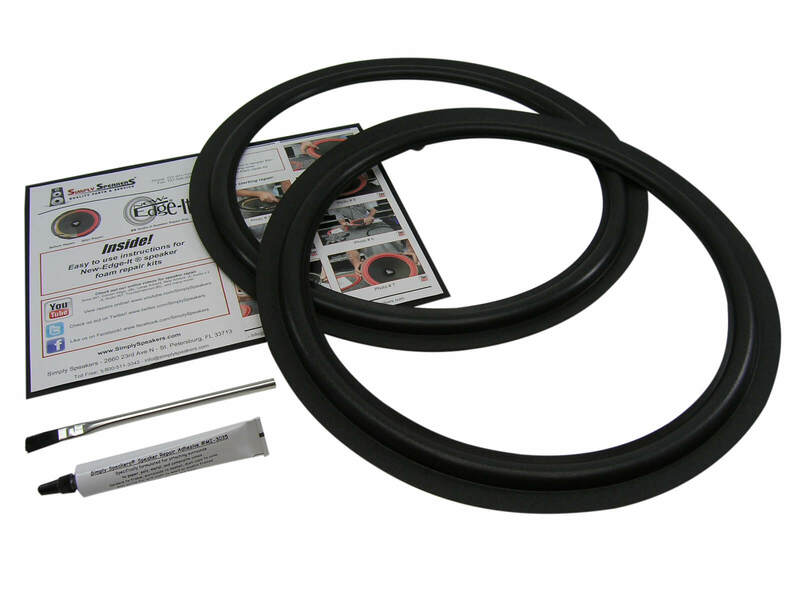 A: Yes, the kit includes the adhesive. Thanks! Q: Will this kit fit my JBL 15 inch signature series speakers? A: No. 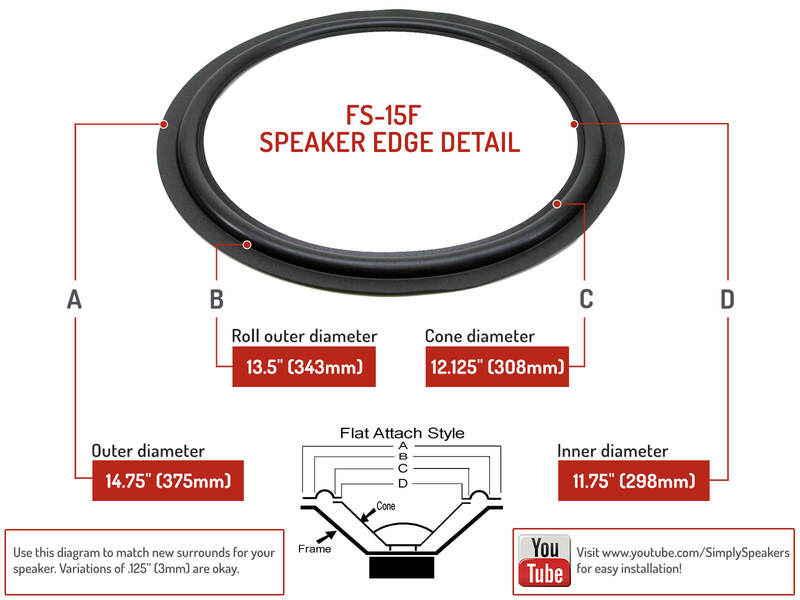 You need to order kit # FSK-15JBL for your model. Fisher: 15130, 15131, 5115, AL-315, AL315, DS-196, DS196, LXI, SC80630, SC80650, ST-350, ST350, ST-460, ST460, ST-550, ST550, ST-760, ST760, ST-828, ST828, ST-830, ST830, ST-925, ST925, STV-715, STV715, STV-724, STV724, STV-844, STV844, XP-9, XP9, XP-9C, XP9C, XP-95A, XP95A, XP-95B, XP95B, XP-95C, XP95C, XP-95V, XP95V, XP-99KC, XP99KC, XP-9C, XP9C, XP-9S, XP9S, and many more!